I’m Cari Ray, welcome to For a Song and here we are at the start of another year in the life. And as I thought about what I wanted to cover in this edition, I considered topics in kind…beginnings, retrospectives, resolutions and the like. But to tell you true, I’ve never really been much of a new years resolver. Not that I don’t believe in the value of setting goals and vigorously chasing them, I think it’s more of the calendaring component that doesn’t really resonate with me. No big surprise there. My relationship with time has always been a little more fluid…naturally, and lately with more impetus. So likewise, my resolutions come whenever I notice value in making them. As I think I’ve mentioned before, one of them is to spend more time with the music of other artists and, when possible, the artists themselves. To that end, I’ve signed on recently to some songwriter rounds…a round is a show where a few songwriters (usually 2-4) sit together onstage with an instrument (often a guitar) and take turns playing their original songs. I love doing these and hearing other folks’ tunes, but my favorite part is hanging out before and after talking shop. 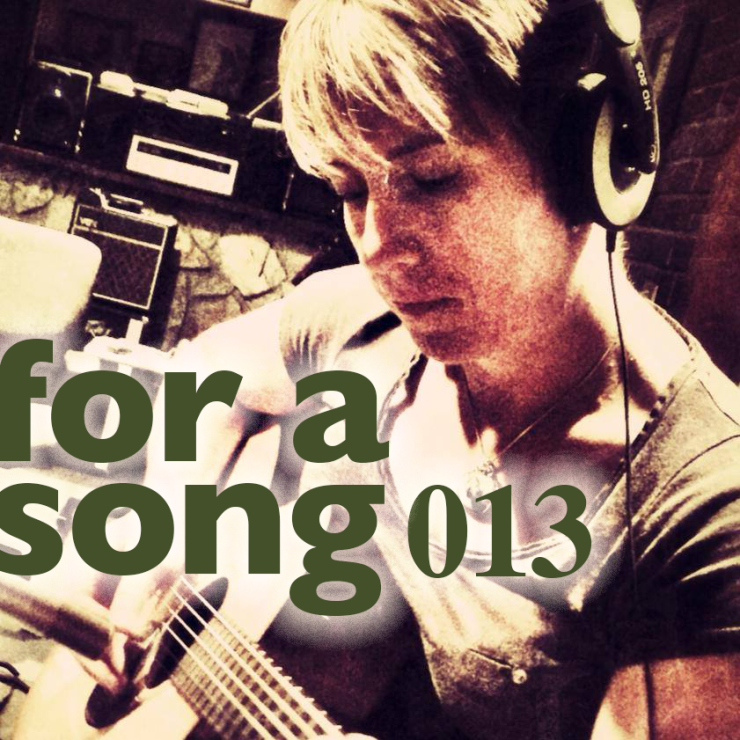 A frequent topic of conversation is about process, and while there are certainly similar threads that run through those conversations, I’m always amazed by the broad spectrum of approach, priority and focus across the songwriting community. I found some of that to be dependent on genre or style. For example, the approach to write a hit bluegrass song might be very different than that to write a hit R&B song. With singer-songwriters, it can also depend greatly on that person’s core competency. For example, while also an instrumentalist, I am first and foremost a singer and storyteller. As a result, historically, my process has had a strong focus on lyrical hook and melody…the rhythm, often a derivative of the lyrical phrasing, and harmonic content are then slid in underneath these elements. By contrast, I have a good friend who’s core competency is as a guitar player. So his primary, initial focus when writing a song is on the guitar…melodic hooks, rhythm, riffs and licks. The melody, often born of the guitar part, and lyrics follow and are laid on top of that foundation. There’s no right or wrong thing to focus on, and ultimately, strength in all of these elements is required to result in a great song. But once you learn to listen critically, you’ll find that the net result is heavily influenced by the initial focus. An while there are anomalies, I often find that songwriters don’t deviate much from their “formula.” In fact, I realized a couple of years ago that I really hadn’t. And I wondered what might happen if I shook things up a bit. Sooooo, I RESOLVED to find out…just randomly, NOT because it was Jan 1. I began making changes. From something as small and simple as going to a different and specific location to write to starting with an entirely different focus for me…like rhythm…or beginning to study different techniques of playing guitar…like fingerstyle…to add something fresh. From time to time in future installments of For a Song, I will share some of my favorite deviations with you. For now, whether your into songwriting, prose, poetry, choreography, fine art, or any other creative pursuit, try a little deviation…a change of venue, a reordering of your process, a change of primary focus. Even if, in the end, you come full circle to your trodden trail my fellow Brown Countians, you know as well as I that getting lost in the woods for a spell can be just the restorative thing the doctor wasn’t wise enough to order. I’m Cari Ray, wishing you Godspeed and hoping you’ll join me next time on For a Song.